BUILD IT! JUMP IT! CRASH IT! SMASH IT! DO IT AGAIN! Introducing the all-new Monster Jam Monster Dirt Starter Kit! From the makers of Kinetic Sand comes the all-new, life-like Monster Dirt that mimics real Monster Jam conditions! 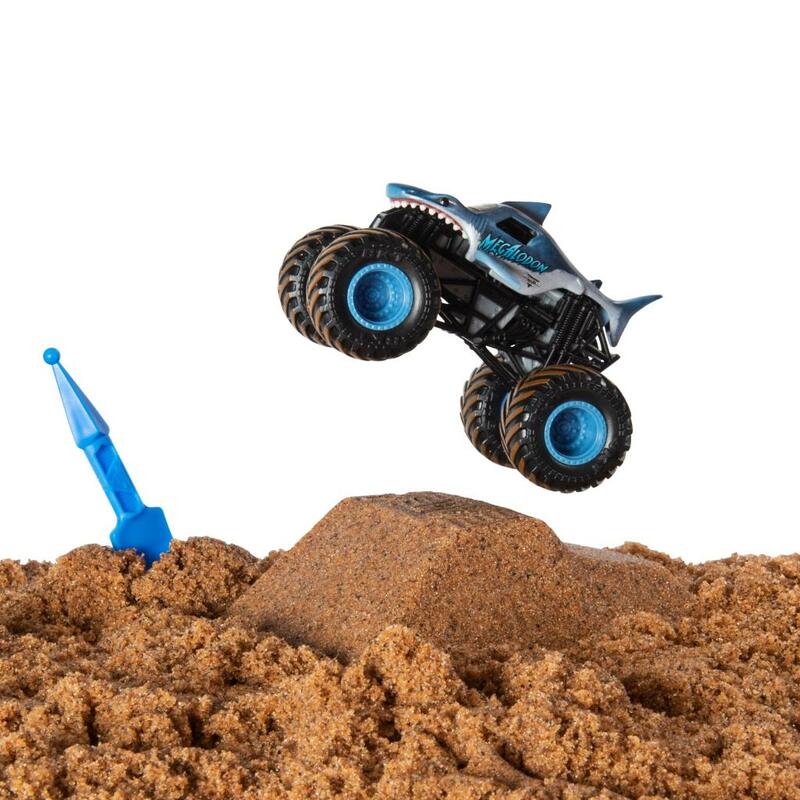 This gritty starter set adds a new level of fun and a whole new way to play with all your favorite Monster Jam trucks! 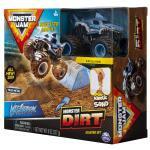 Mold, build, and jump over realistic ramps with your exclusive Monster Jam truck! 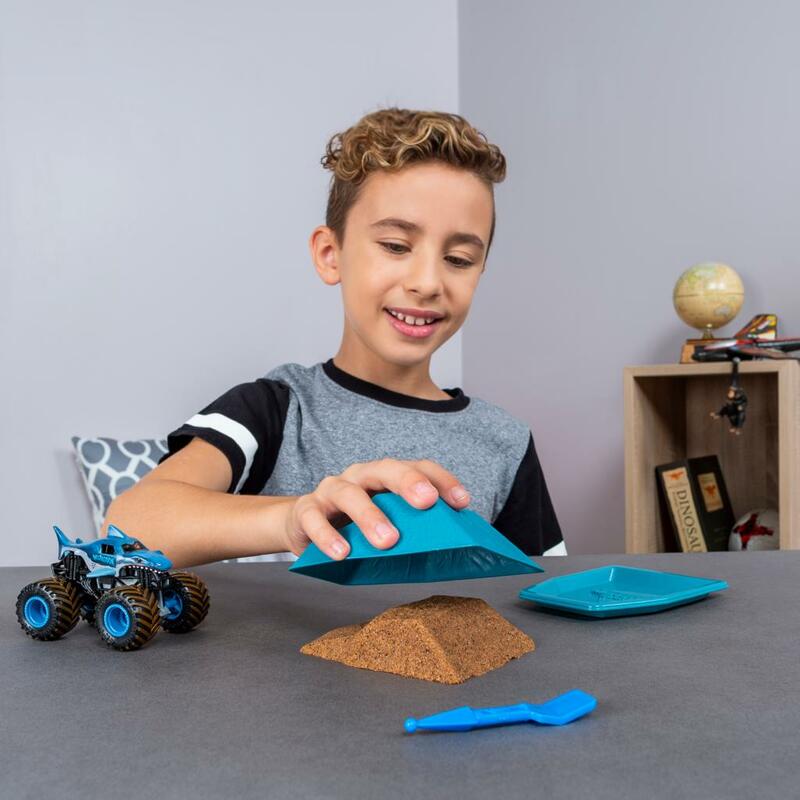 Use the included ramp mold as a ready-to-use ramp, a mold to build your own ramp, and a Monster Dirt storage container! Use the ramp or build your own for fast, high-flying action! 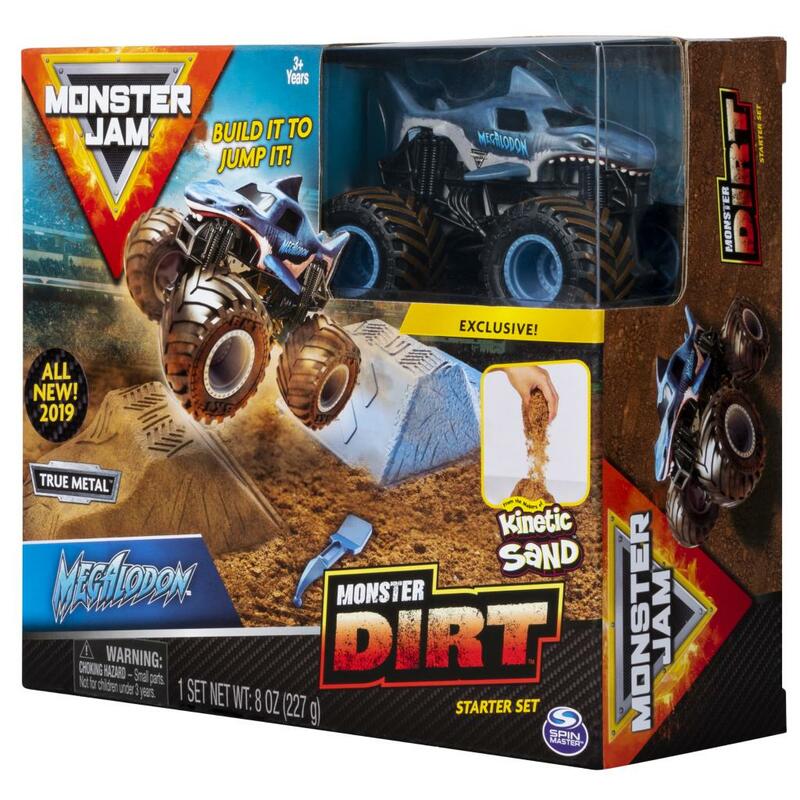 PLUS, the included, exclusive 1:64 scale die-cast Monster Jam truck is detailed with dirt-stained BKT tires, giving it an even more life-like appearance than ever before! 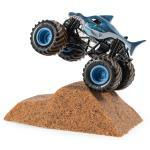 Start your Monster Jam event with the all-new, Monster Dirt Starter Set! MONSTER DIRT: From the makers of Kinetic Sand comes the all-new, life-like Monster Dirt! 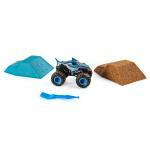 This synthetic dirt looks and feels just like what the pros drive through! It's easy to mold and easy to clean. 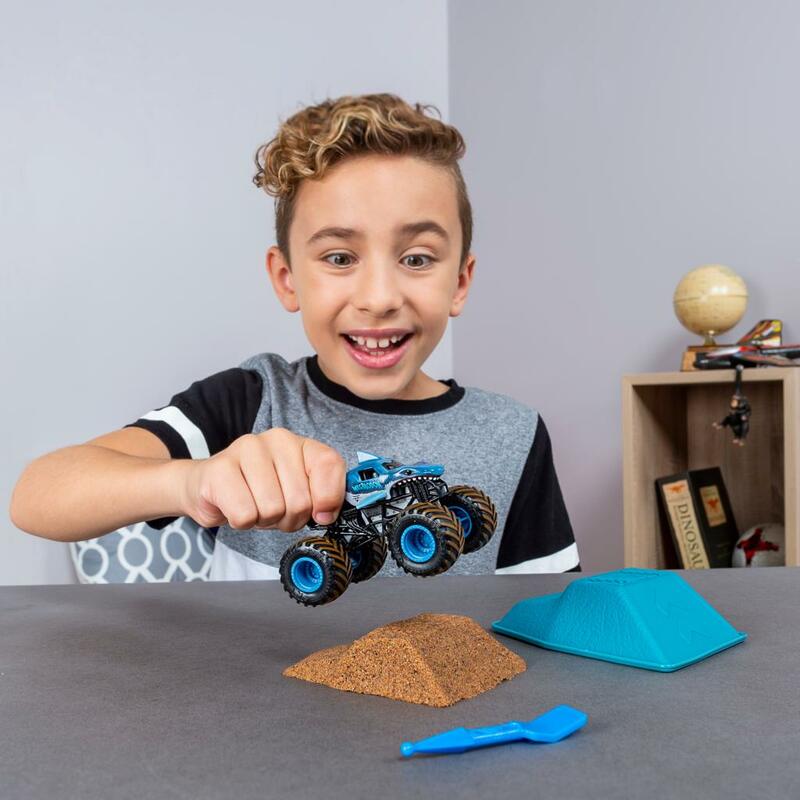 MAKE YOUR OWN RAMPS: Mold, build & jump over realistic ramps with your Monster Jam truck! 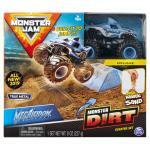 Use the included ramp mold as a ready-to-use ramp, a mold to build your own & a Monster Dirt storage container. 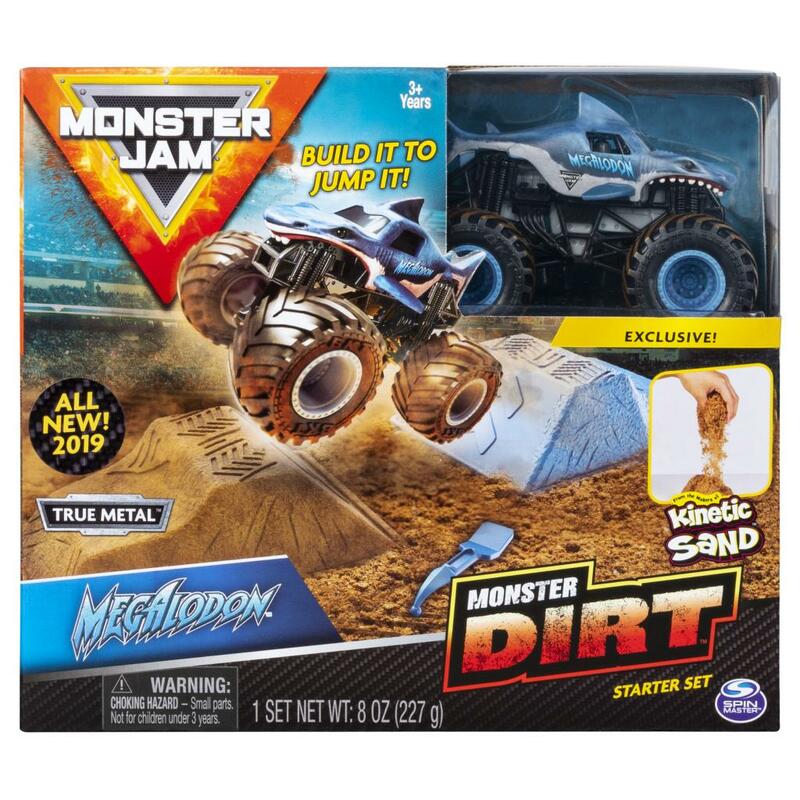 INCLUDES EXCLUSIVE TRUCK: This playset includes an exclusive, authentic 1:64 scale Megalodon monster truck that can't be found anywhere else, complete with greater detail and dirt-stained BKT tires.